The investigation continues into the identities of George Henry (Jucket) Hawks' parents and the circumstances that changed his surname from Jucket to Hawks (see Research Attic: George Henry Jucket Hawks). One of George's great-granddaughters has a letter from his purported Jucket niece, which names George's parents as Daniel and Lucy (Hawks) Jucket. The preponderance of evidence seems to support this claim. Family lore said that George was raised by his maternal aunt Emily Hawks after he was left orphaned. While we believe we've located the grave for Lucy Hawks Jucket, no grave or death record has been found for Daniel. 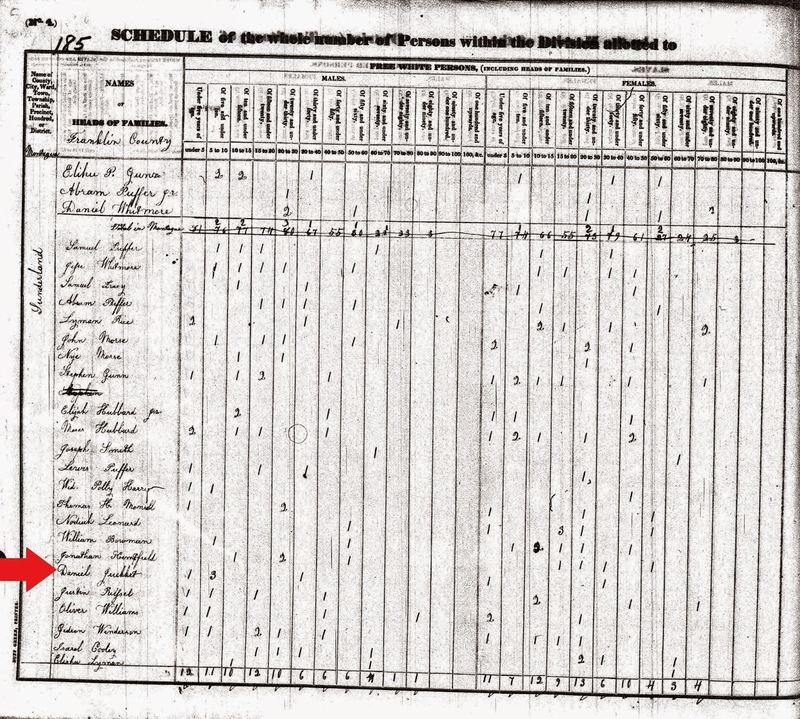 Daniel and Lucy (Hawks) Jucket had five children (as enumerated in the 1830 census). Lucy Hawks Jucket died in March 1832 at the age of 35 (as detailed on her tombstone). Daniel Jucket remarried in September 1833 to Mary Kentfield (as detailed in a marriage register). 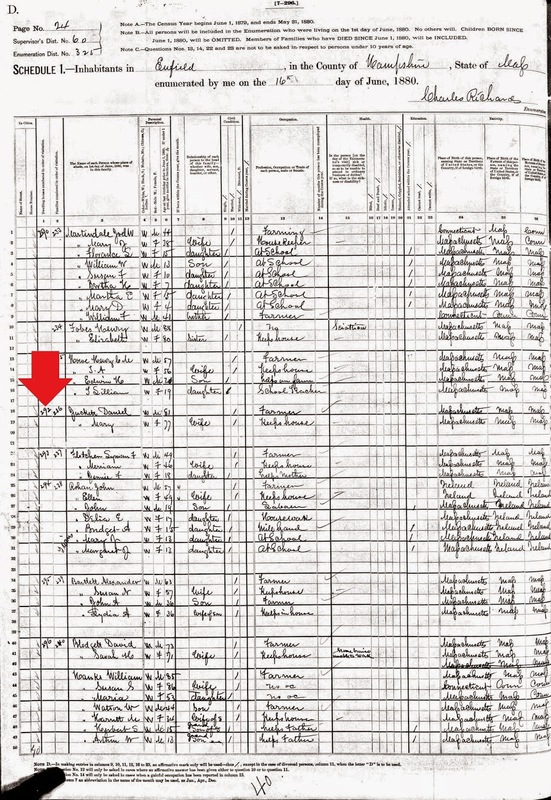 Daniel and Mary (Kentfield) Jucket had two children and both were born after Lucy's death; suggesting that neither child was George Henry (as detailed in the 1840 census). The working theory is that George Henry Jucket was motherless in 1832. Daniel, his father, was unable or unwilling to provide for a young child, so George - at four years of age - was raised by his maternal aunt Emily. Emily raised George under her surname of Hawks. What became of Daniel after the 1840 census? The following is a life sketch through existing records. 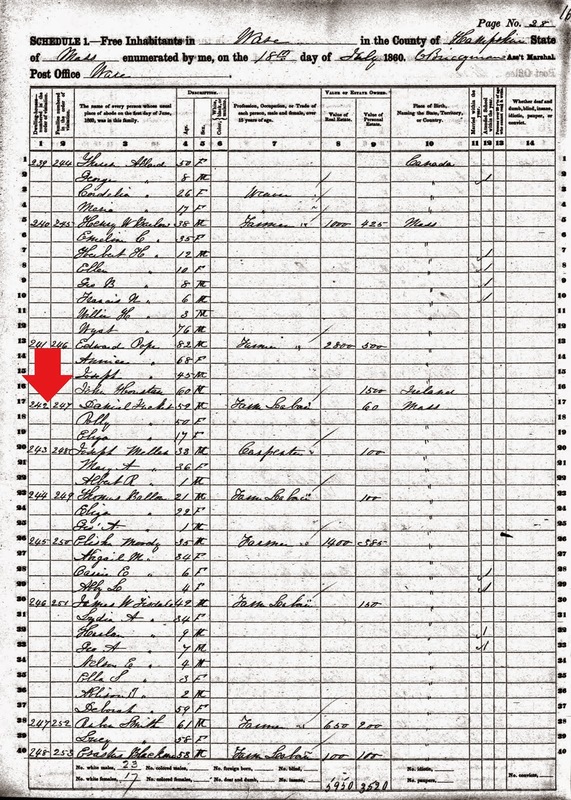 In 1850, Daniel Jucket was enumerated with wife Mary in Ware Township in Hampshire County, Massachusetts. There were three presumed children listed: Charles, age 14; Mary J., age 10; and Eliza A., age 8. Daniel's profession was farmer and both daughters attended school. 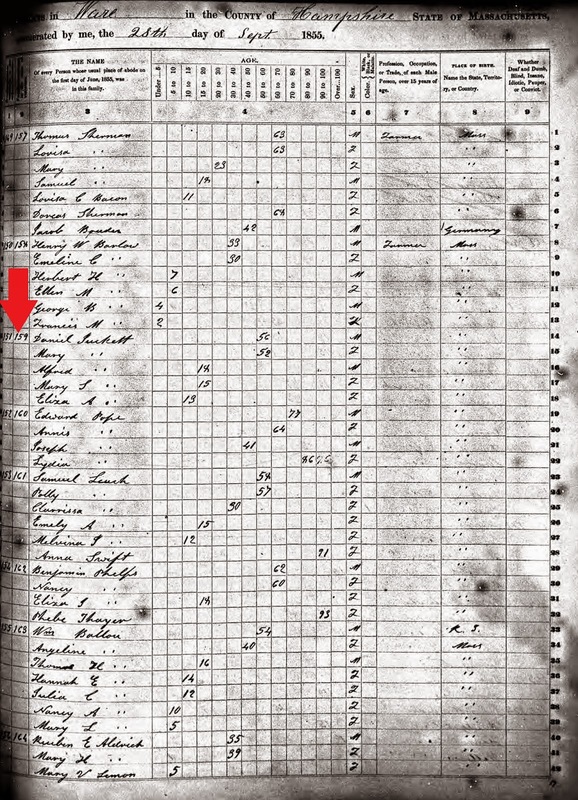 In 1855, Daniel Jucket was enumerated again with wife Mary in Ware Township. There were three presumed children listed: Alfred, age 18; Mary S., age 15; Eliza A., age 13. Alfred was a new addition who wasn't enumerated with the family five years earlier. 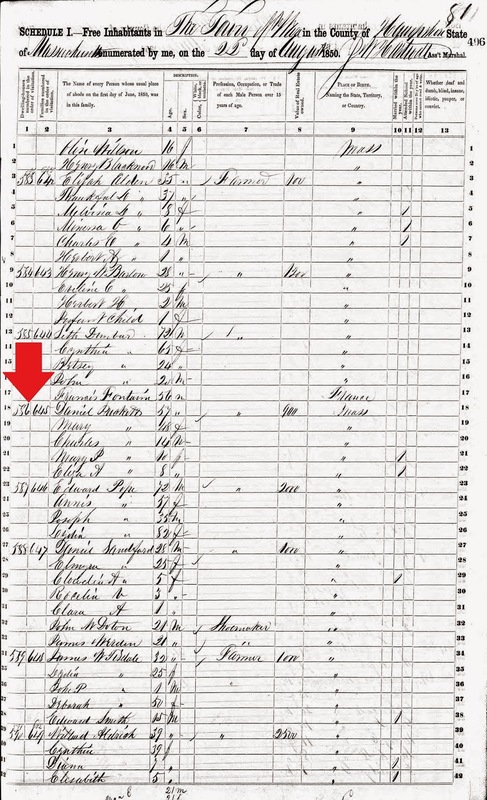 Charles, who was enumerated in 1850, wasn't listed in this census. Also, the middle initial for Mary has changed from 'J' to 'S'. 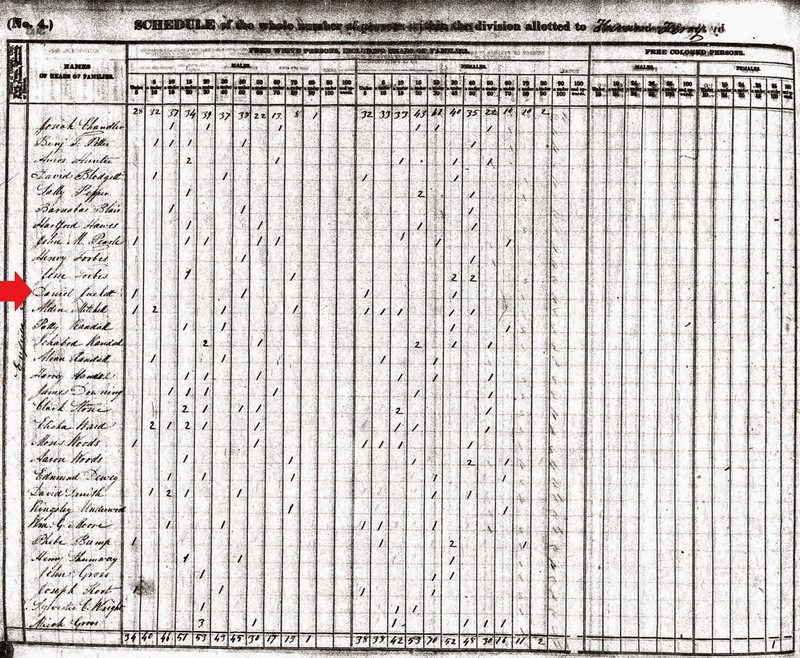 Still in Ware Township, Daniel Jucket's family slimmed down to include himself, wife Mary (enumerated under the common nickname of Polly) and daughter Eliza. Daniel's profession was farm laborer. Daniel was enumerated with wife Mary and daughter Eliza. Daniel's profession was farmer, and his birth location was Shutesbury. Daughter Eliza was born in Enfield. Five years later, Daniel and Mary were enumerated in Enfield Township with their surname spelled as Jackett. His profession was listed as a farm laborer. Neither he or Mary could write. 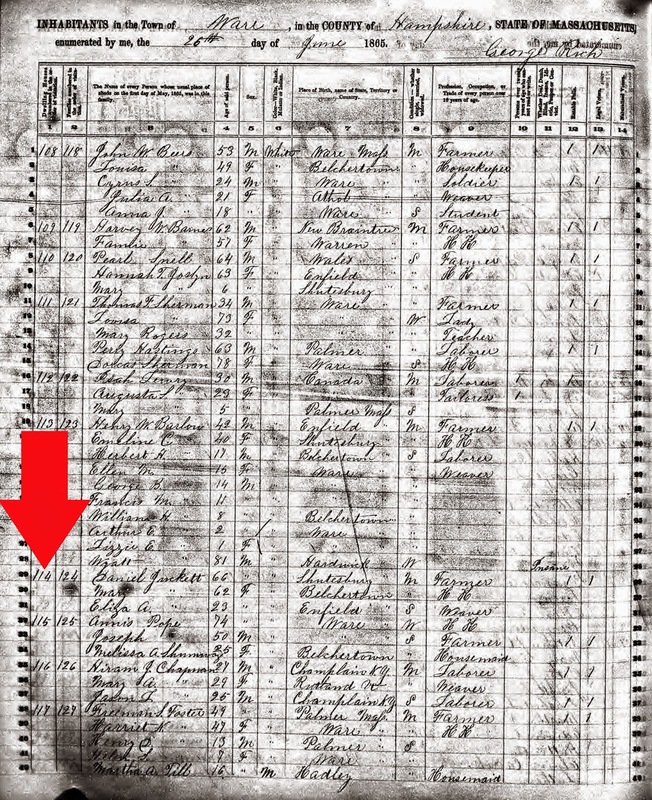 Daniel and wife Mary were both enumerated in Enfield in the 1880 census. He was 81 years old and still worked as a farmer. 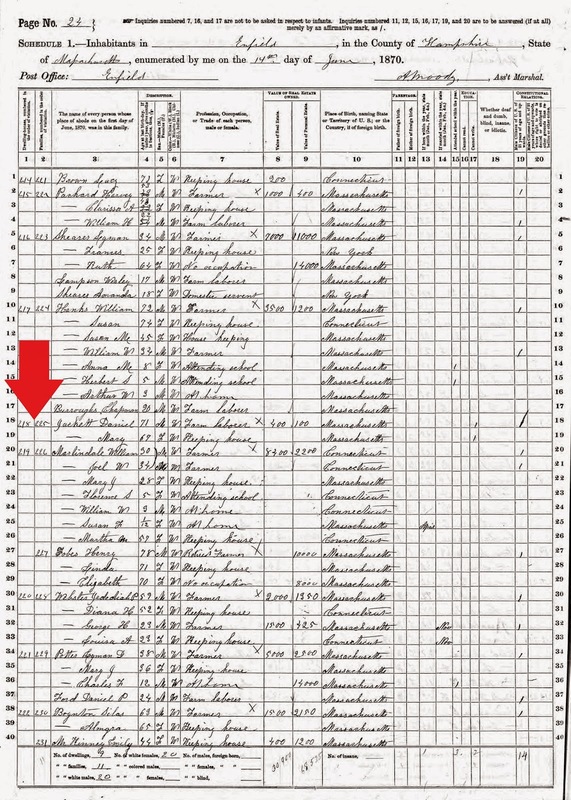 This was his last appearance in a census. 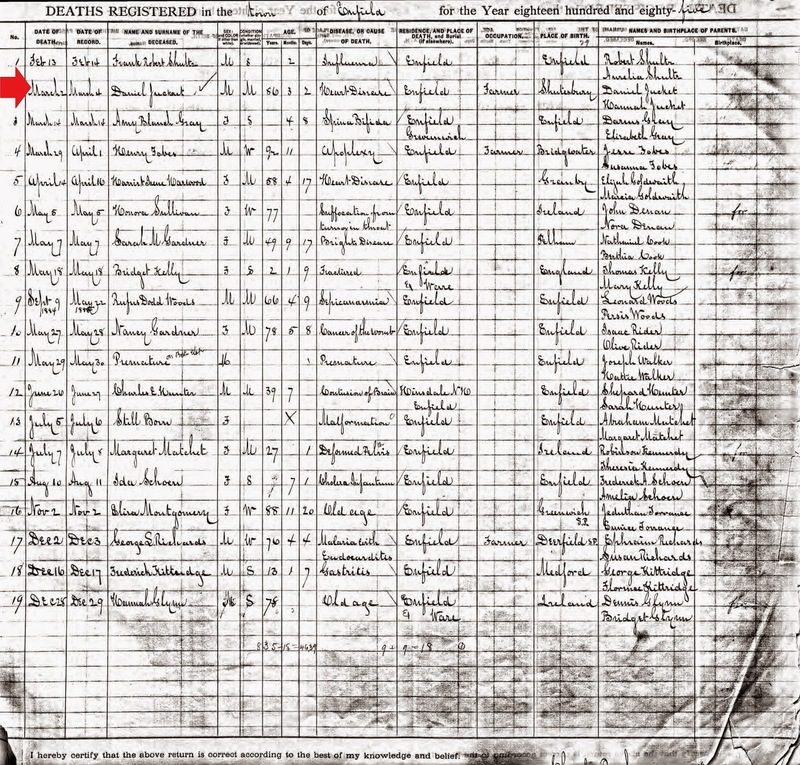 There are two records that record the death of Daniel Jucket on March 2, 1885 in Enfield Township. He was 86 years, 3 months and 2 days old. The cause of death was heart disease. He was listed as married, suggesting that his wife Mary survived him. According to this death record, he was born in Shutesbury to Daniel and Hannah Jucket. According to this record, he was interred in Enfield. Where is Daniel Jucket's grave? The question is complicated because the town of Enfield and its cemetery were moved in 1938 to make way for the man-made Quabbin Reservoir. Most remains from Enfield Cemetery were moved to the new Quabbin Park Cemetery. "There was nothing that I could find in our records for Daniel. Even if he had been buried in one of the Quabbin town cemeteries and was reinterred in another cemetery than the Quabbin Park Cemetery, we would have a record of that in our files." "I was curious to see that Mary was originally interred in the Fish Hill Cemetery in Prescott. While it is adjacent to Enfield, it is a different town. Prescott was near New Salem and Fish Hill is in the northern part of Prescott, quite close to the New Salem town line. So you might want to check the New Salem records to see if he was buried there." 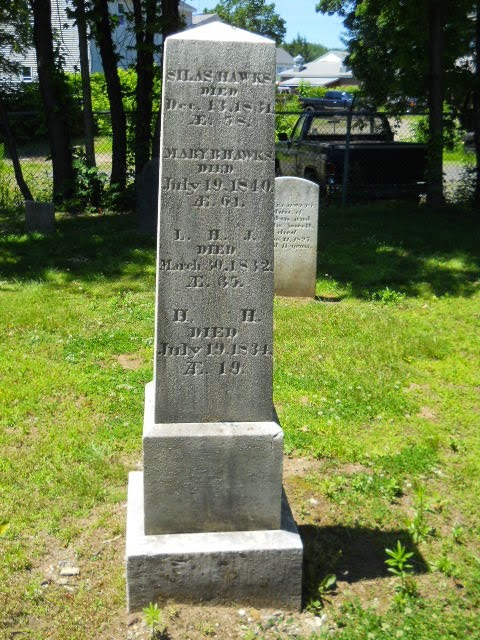 According to its FindAGrave page, most Fish Hill Cemetery burials were moved to Quabbin Park, however, just over a thousand graves were moved to other neighboring cemeteries. It seems reasonable that Mary would have been buried beside her husband. Perhaps they were both initially buried in Fish Hill and then moved to a yet-to-be-determined cemetery in New Salem. This life sketch of Daniel doesn't shed additional light on the question of why George was raised by his maternal aunt. What is clear, though, is that Daniel was not a documented presence in his life. Perhaps, in a way, that's indicative of why George was given the surname of Hawks instead of Jucket. Fortunately, we do have new information on Daniel that can direct further genealogical research on his family line. Search Shutesbury for birth information for a Daniel Jucket born to parents Daniel and Hannah Jucket in about 1799. Search New Salem records for information on re-interment of Daniel and Mary Jucket. 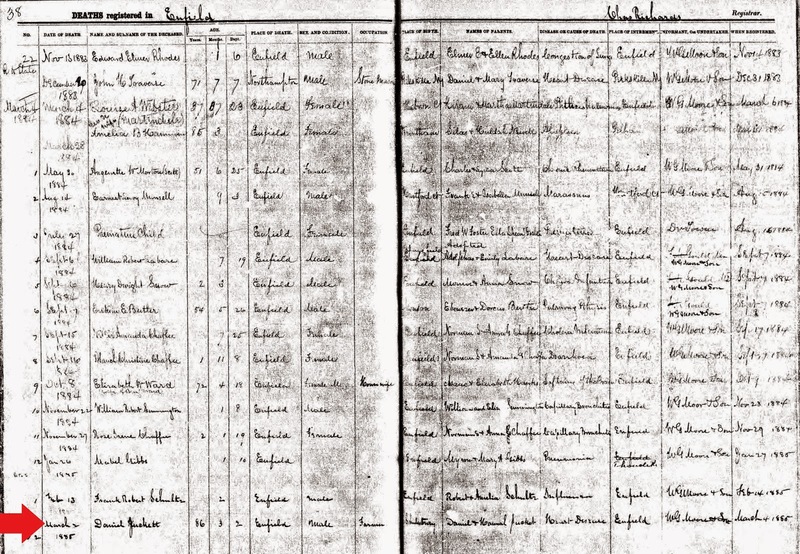 Search the repository for Enfield records to see if probate records exist for Daniel.